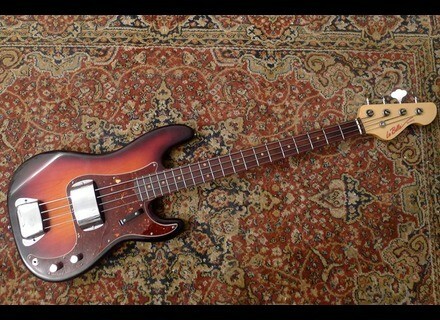 Olinto, 4-string bass guitar from La Bella. 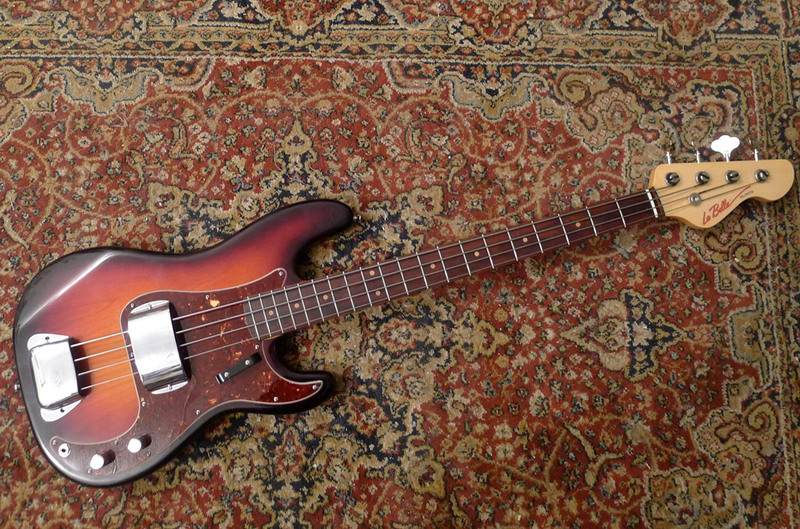 La Bella Strings starts producing instruments starting with the Olinto Bass Guitar. The vintage style bass is built with hand-carved Alder that is finished with a nitro-lacquer and comes in Sunburst, Olympic White, Black, and Natural colors. The maple neck has a classic “C” shape profile and is topped with a Madagascar rosewood fingerboard. Hardware on the Olinto includes a bone string nut, vintage style reverse tuning machines, and an American Vintage 4 saddle bridge. Chrome bridge and pickup covers are included. Its pickup is a single split-coil controlled with a volume knob and a tone knob. 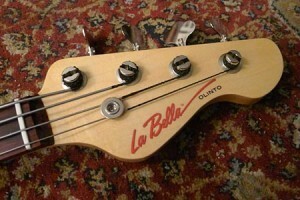 La Bella ships the bass with a choice of their strings as well as an extra set. A gig bag is included. The La Bella Olinto is available for order now directly from the company’s website for $2,950. Sean Yseult Casket Bass Sean Yseult, bass player for White Zombie, Star & Dagger, gets a signature casket-shaped Schecter bass.